This hasselback bread roll recipe is sponsored by Udi’s Gluten Free, a year- long partner of Heartbeet Kitchen. 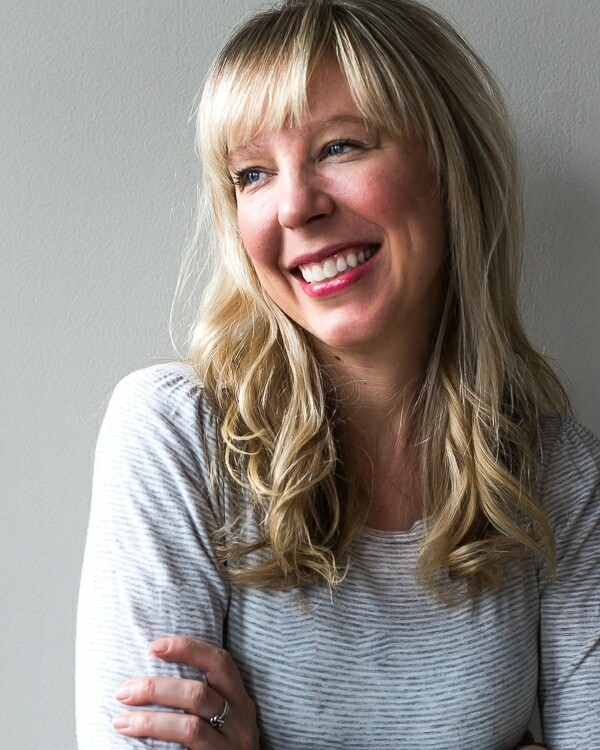 In almost 7 years of blogging, I don’t think I’ve ever been this excited to share a recipe with you. Carbs, cheese, and butter are certainly a trio to be reckoned with. Put them into pull-apart, hasselback form…. irresistible. 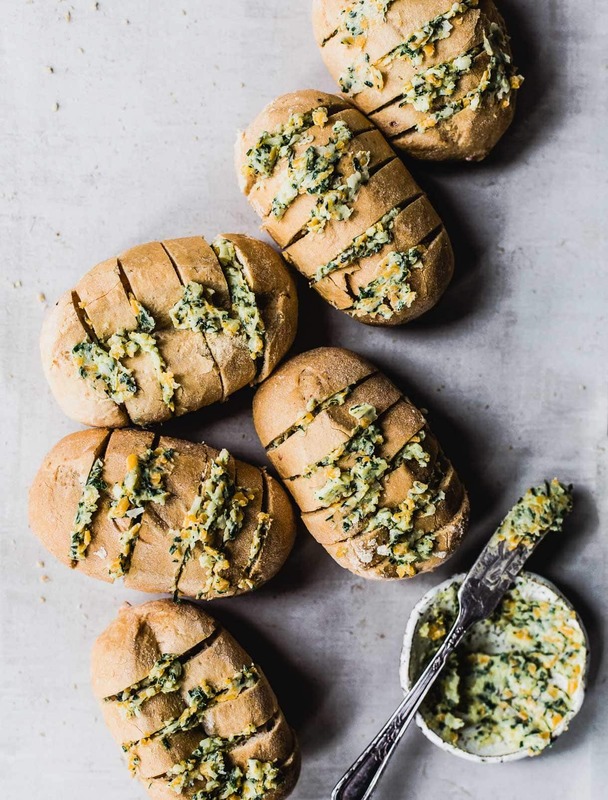 And the fastest way to transform store-bought dinner rolls, like Udi’s Gluten-Free class french rolls, into something magical. 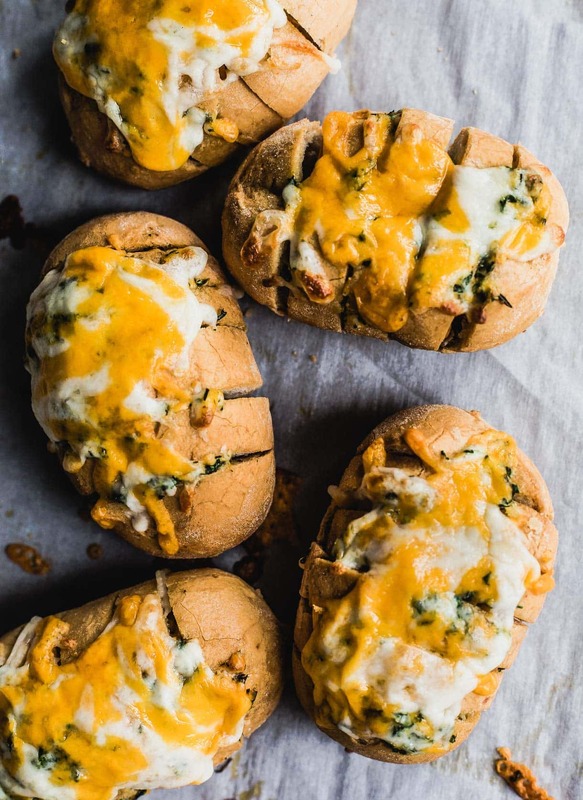 It’s like everyone gets their own personalized garlic cheesy bread loaf. You’ve probably heard the term hasselback before, simply mean slits cut into an object, but not all the way through, often used on potatoes. (Or even butternut squash, like this recipe.) Those spaces are then stuffed with tasty things that can permeate between the layers. 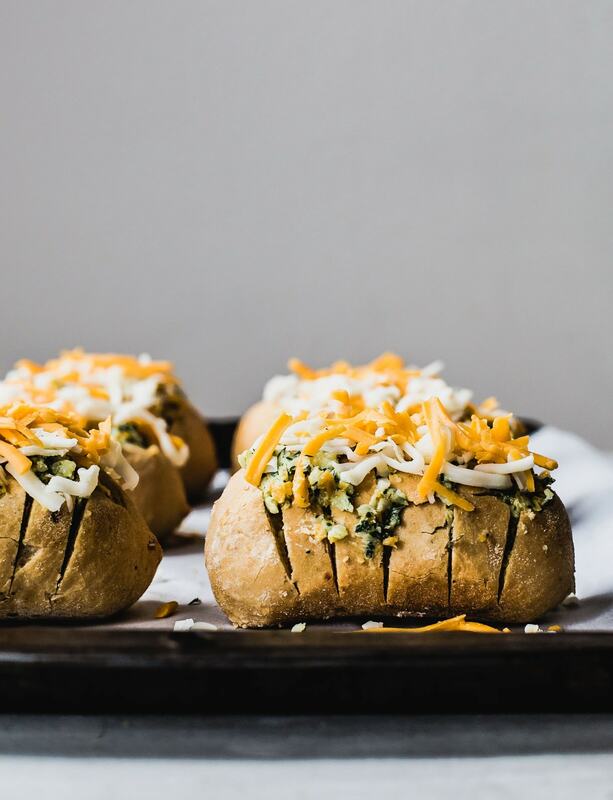 These hasselback dinner rolls as simple as making a compound butter with mozzarella and cheddar, and herbs of choice – mine being rosemary and parsley. 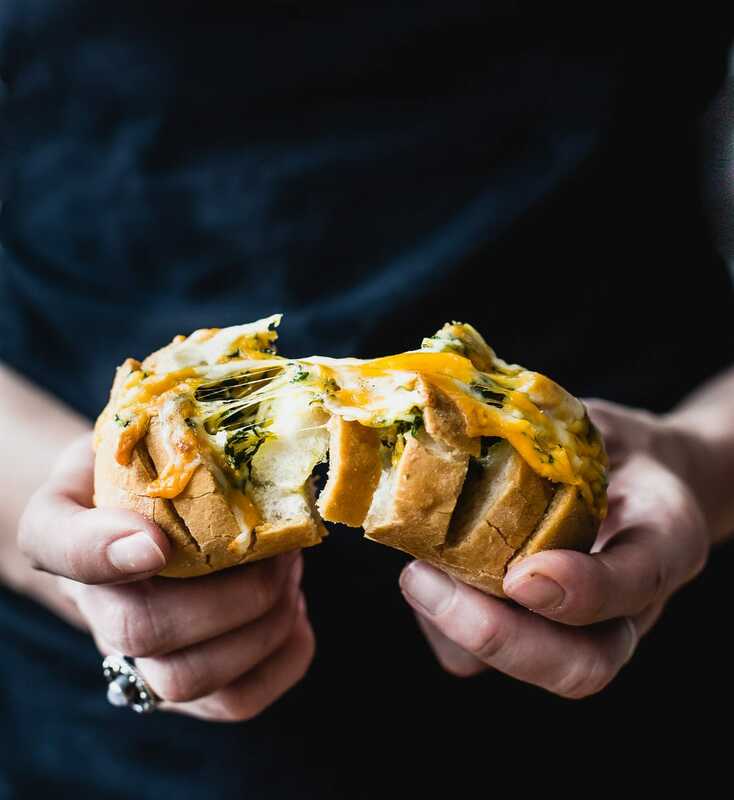 And because epic cheese pulls are one of the happiest food moments, you’ll add a little more cheese to the top of the rolls before putting into the oven. I have to think these would be excellent with everything bagel seasoning instead of the herbs. Gruyere would also be a great cheese to replace the mozzarella, as it melts well and has great flavor. If you’re hosting a dinner party, you can make the compound butter two days in advance, and stuff the rolls two hours before baking. Because they’re rolls store-bought, they only need a few minutes in the oven to brown and melt the cheese. Press play to learn how to make these Hasselback Bread Rolls! Put butter, cheeses, garlic powder, salt, and herbs into a food processor. Process until all comes together and is spreadable. Cut 5 slits in each dinner roll with a bread knife, without going through the bottom. Stop short so the rolls still are one piece. Slather butter into each slit. Do with all rolls, then put on parchment lined paper. Top with additional cheese, lightly pressing down to stick. Bake for 6-7 minutes until cheese is melted and bubbling. Serve warm. I think I’m drooling all over the keyboard! Omg, YES! Totally agree: irresistible. Thank you for sharing ! YUM. I love this idea. Cheesy bread is the BEST!